Nagendra just joined the Nanochemistry Research Group at INL - International Iberian Nanotechnology Laboratory as a Reseacrh Fellow to work on he development of unconventional thermoelectrics based on self-organised binary nanocrystal superlattices. Zexuan just joined the Nanochemistry Research Group at INL - International Iberian Nanotechnology Laboratory as a Reseacrh Fellow to work on the CritMag project, on the development and analysis of high-performance magnetic nanoparticles to enrich the knowledge of magnetic spring mechanism. 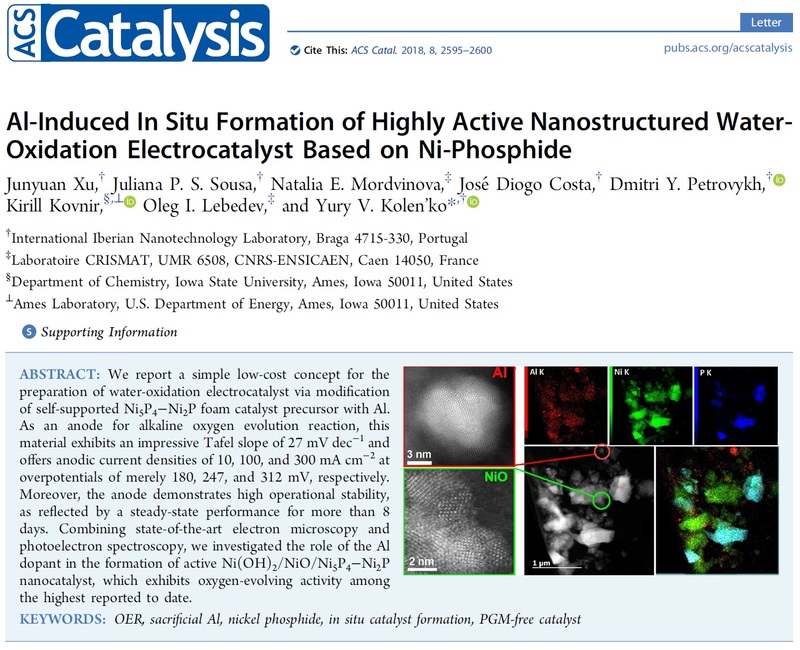 Congratulations to Yury from Nanochemistry Research Group and Vânia Vilas-Boas and their co-workers! 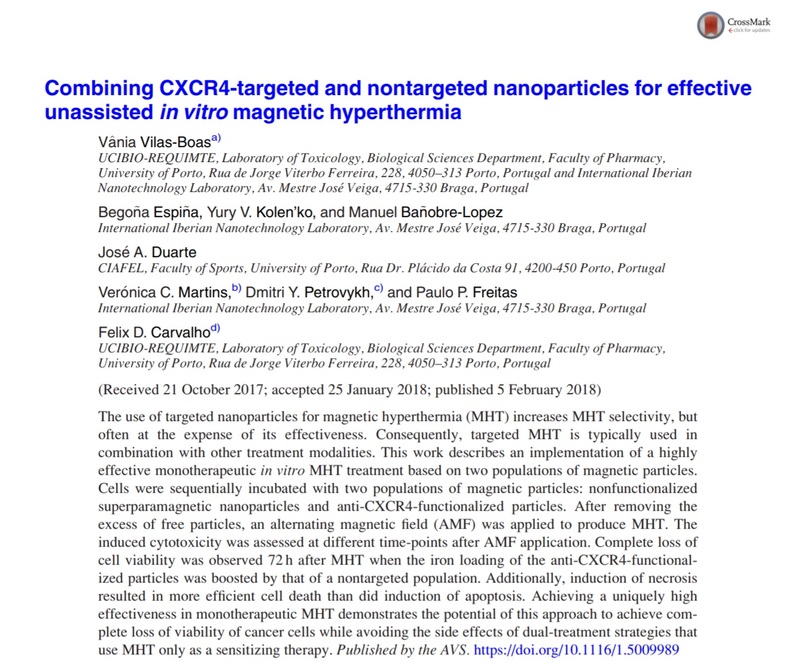 Their recent article entitled: "Effectiveness and Safety of a Nontargeted Boost for a CXCR4-Targeted Magnetic Hyperthermia Treatment of Cancer Cells" has just been published in ACS Omega!!! Congratulations to Yasmine, Juliana and Yury from Nanochemistry Research Group and their co-workers! Their recent article entitled: "Electrocatalytic water oxidation over AlFe2B2" has just been accepted in Chemical Science!!! 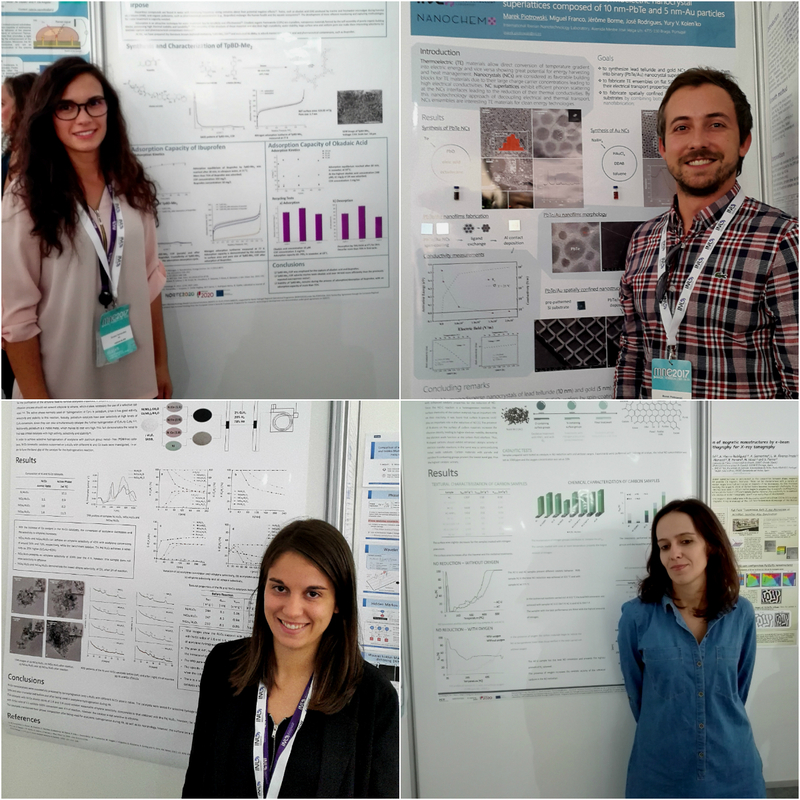 Congratulations to Soraia, Vanesa and Laura from Nanochemistry Research Group and also to Begoña Espiña from INL! 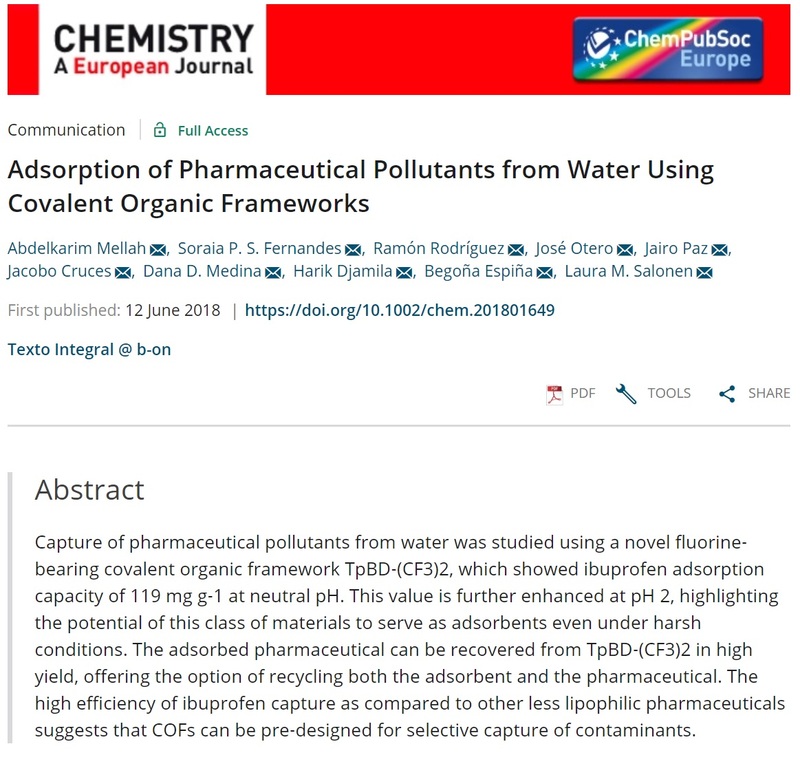 Their recent article entitled: "Tailoring Covalent Organic Frameworks to Capture Water Contaminants" has just been accepted in Chemistry - A European Journal!!! 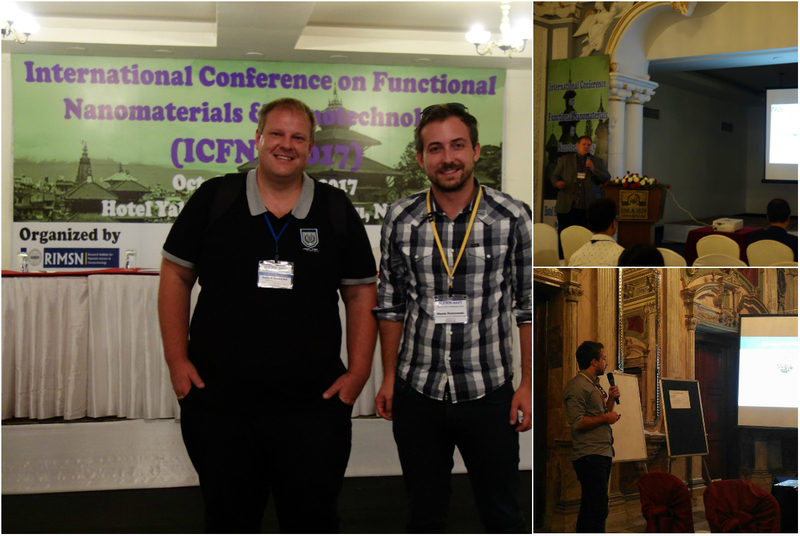 Congratulations to Yury from Nanochemistry Research Group and our former fellows Udayabhaskararao Thumu, Marek Piotrowski, and Bryan Owens-Baird! Their recent article entitled: "Zero-Dimensional Cesium Lead Halide Perovskites: Phase Transformations, Hybrid Structures, and Applications" has just been accepted in Journal of Solid State Chemistry!!! Süleyman just joined the Nanochemistry Research Group at INL - International Iberian Nanotechnology Laboratory as a Reseacrh Fellow to work on the development of nano-polymeric opaque and transluscent top coats to increase material protection and paint performance. Congratulations to Viviana, Bruna, Yasmine, and Yury from Nanochemistry Research Group! Their recent article entitled: "Superstructural Ordering in Hexagonal CuInSe2 Nanoparticles" has just been accepted in Chemistry of Materials!!! 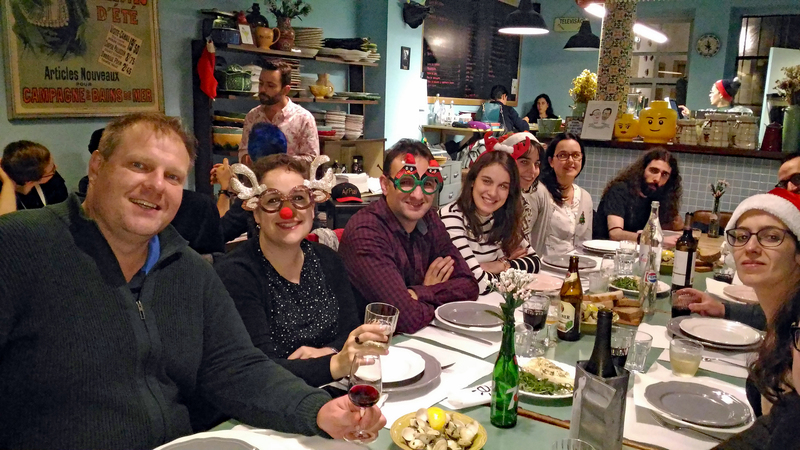 Today we had the annual Nanochemistry Christmas Dinner! We had a very pleasent dinner at Taberna do Migaitas. Magali just joined the Nanochemistry Research Group at INL - International Iberian Nanotechnology Laboratory as a Junior Reseacrh Fellow to work on the development of nano-polimeric opaque and translucent top coats to increase material protection and paint performance. Huge congratulations to Marek, Miguel, Viviana and Yury from Nanochemistry Research Group! Their recent manuscript entitled: Probing of Thermal Transport in 50-nm Thick PbTe Nanocrystal Film by Time-Domain Thermoreflectance has just been accepted!!! 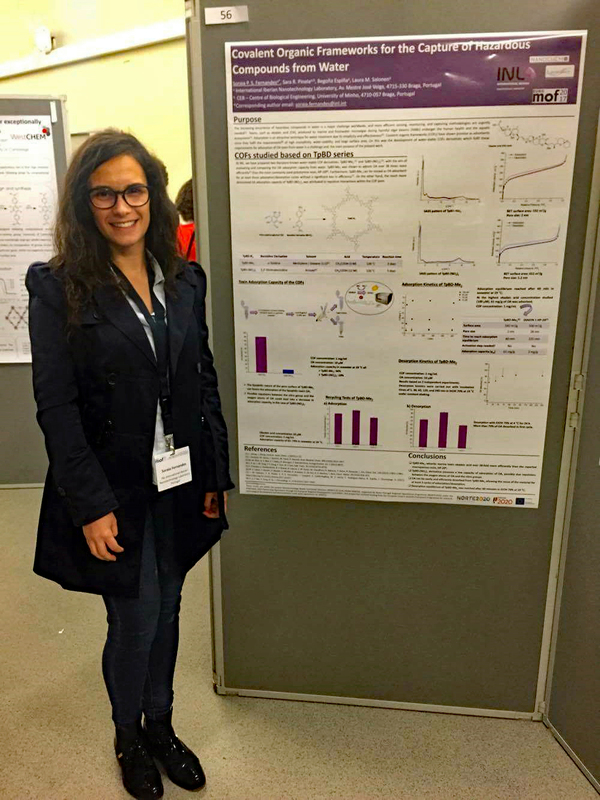 Liliana participated at the CHEMPOR 2018 Conference (Aveiro, Portugal) with the poster "Covalent Organic Frameworks as support for Ni nanocatalysts for CO2 Methanation". 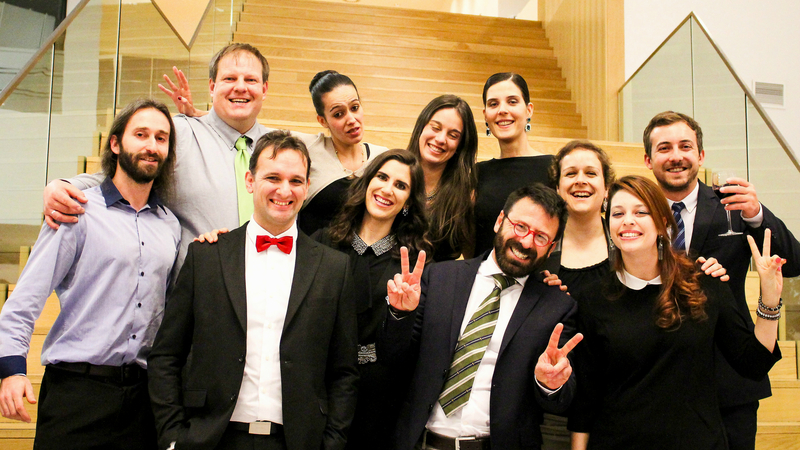 NANOCHEMISTRY GROUP AT RESEARCHERS NIGHT!!! 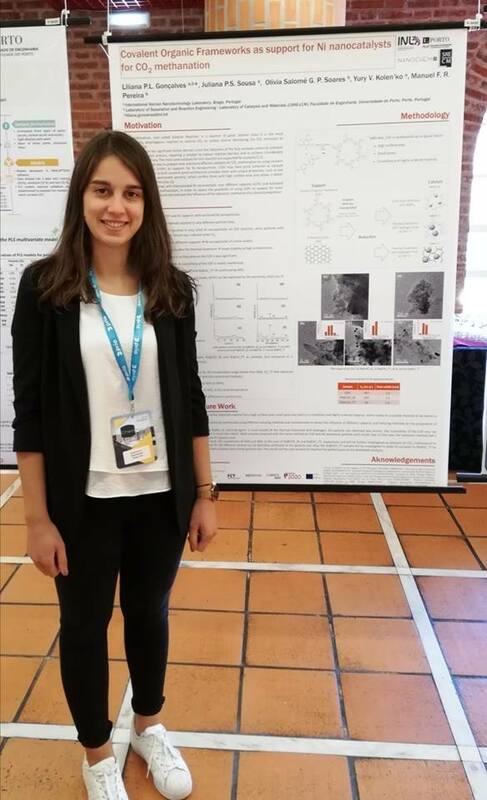 Natália just joined the Nanochemistry Research Group at INL - International Iberian Nanotechnology Laboratory as a Reseacrh Fellow to work on the functionalization of nanomaterials to mitigate the impact of the biofouling in membrane-based water treatment technology. Francesca just joined the Nanochemistry Research Group at INL - International Iberian Nanotechnology Laboratory as a summer intern. 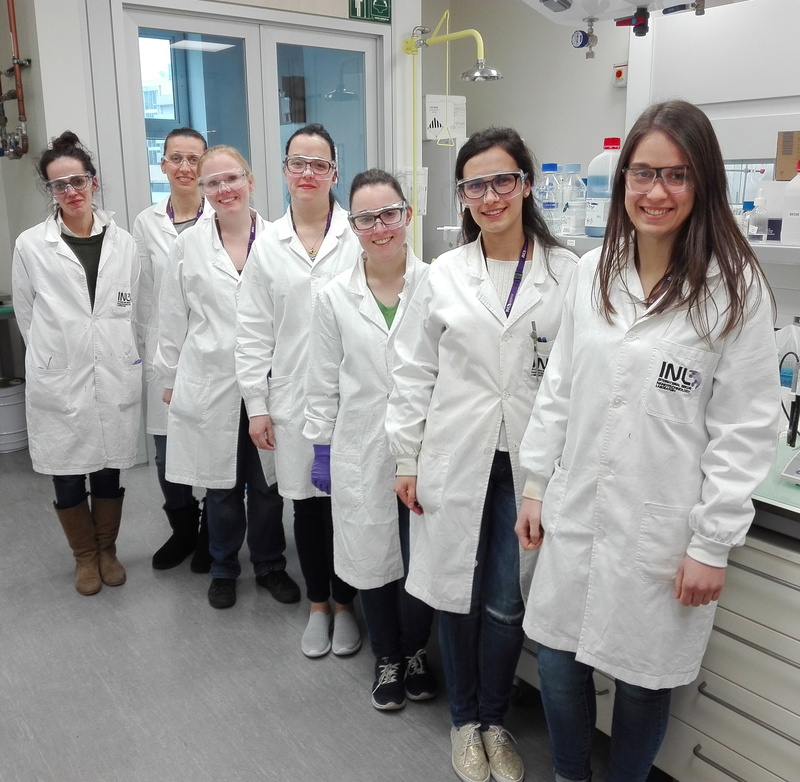 Anneloes joined Nanochemistry Research Group at INL - International Iberian Nanotechnology Laboratory as a summer intern, to work on the synthesis of covalent organic frameworks for environmental applications. 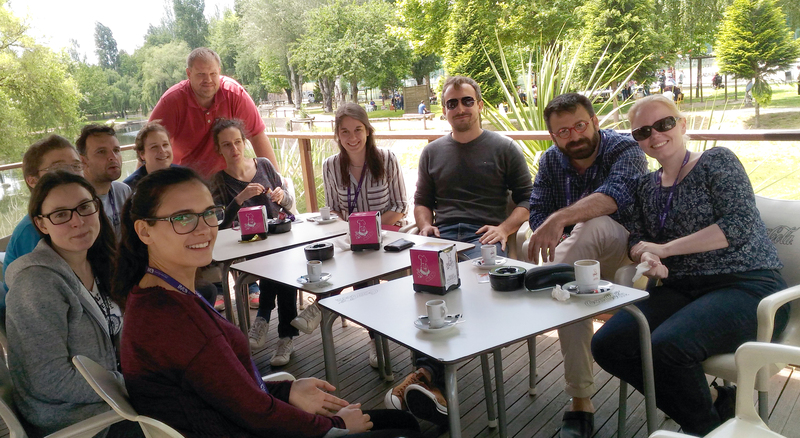 Elena joined Nanochemistry Research Group at INL - International Iberian Nanotechnology Laboratory as part of the Summer Internship to work on the development of highly active Fe-P and Fe-Se electrocatalysts for hydrogen evolution reaction (HER) and oxygen evolution reaction (OER). 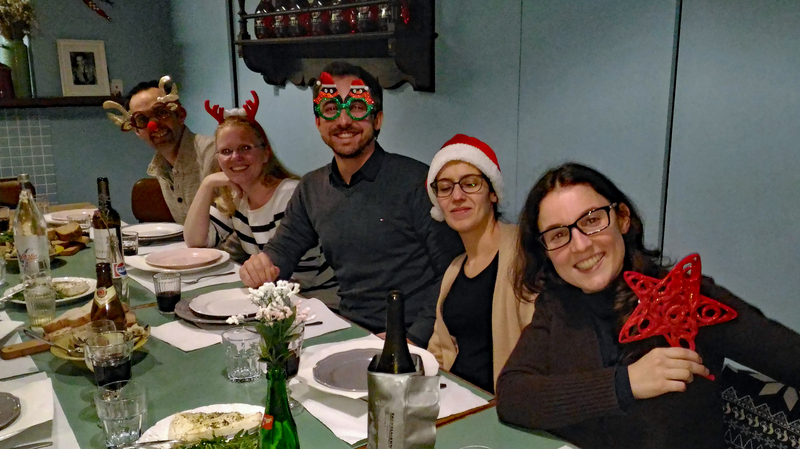 Jenni joined Nanochemistry Research Group at INL - International Iberian Nanotechnology Laboratory to work on the design and synthesis of metallophthalocyanine-based POCs and COFs which can be used as catalysts in industrially important reactions. 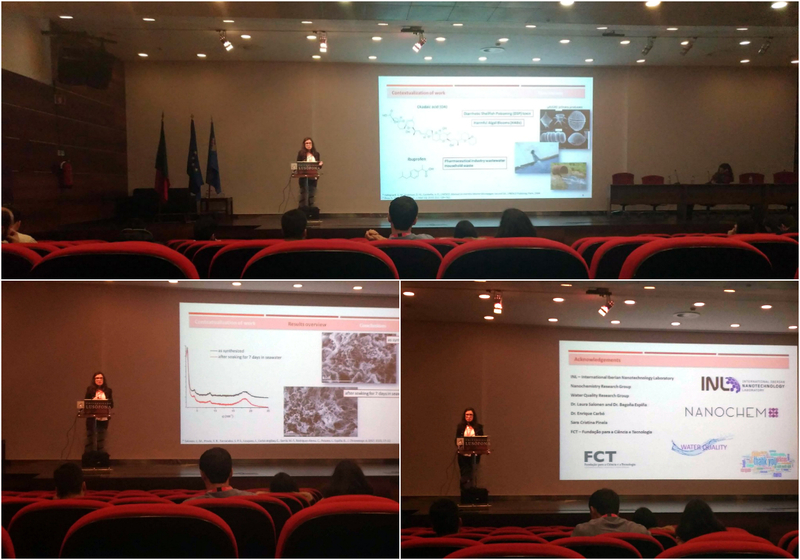 Yasmine joined Nanochemistry Research Group at INL - International Iberian Nanotechnology Laboratory to work on the characterization and the testing of novel catalytic materials within the CritCat Project. Olumide joined Nanochemistry Research Group at INL - International Iberian Nanotechnology Laboratory to work on the rational design of future catalyst materials within the CritCat Project. Huge congratulations to Laura from Nanochemistry Research Group and her co-workers! Their manuscript entitled: Chromonic self-assemblies in a series of dialkyl-thiacarbocyanine dyes and generalization of a facile route for the synthesis of fluorescent nanostructured silica fibers, has just been accepted!!! Welcome to our newcomer Sara Barros! 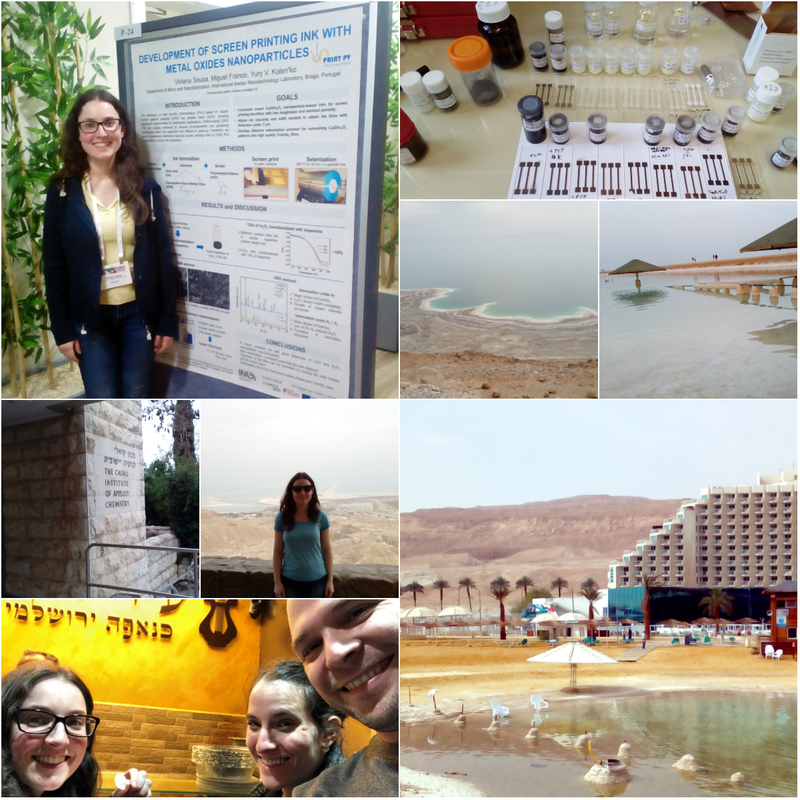 Sara joined Nanochemistry Research Group at INL - International Iberian Nanotechnology Laboratory to work on advanced antibacterial coatings for dentistry applications! This time in Biointerphases. We synthesized for our best friend Vania Vilas Boas nice colloidal magnetic nanoparticles, which she used to fight cancer cells employing magnetic hyperthermia. Big thanks to all collaborators!!! Take a look by clicking the abstract below! In J. Phys. Chem. 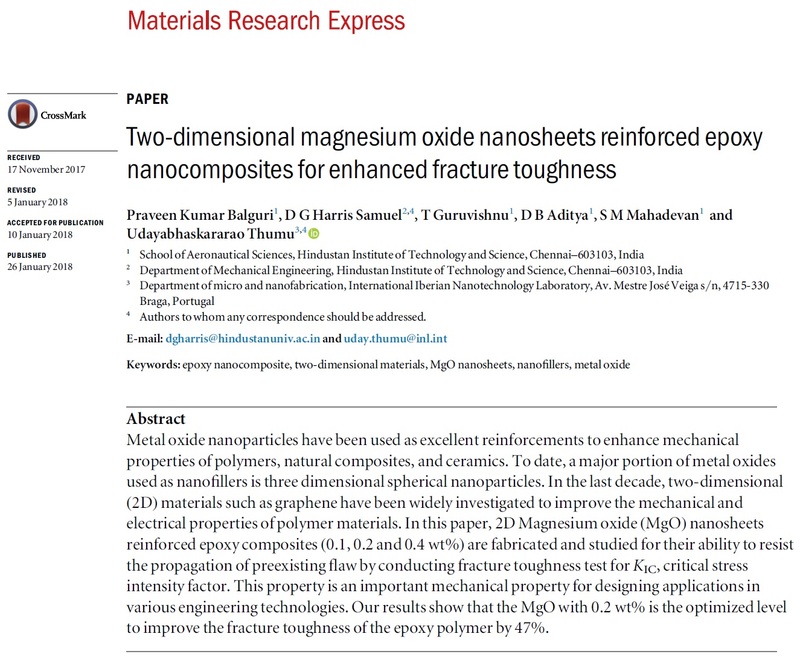 C, our magnetic nanoparticles have been used to develop advanced composite material, which has the highest magnetodielectric response reported to date for polymer-based composites. 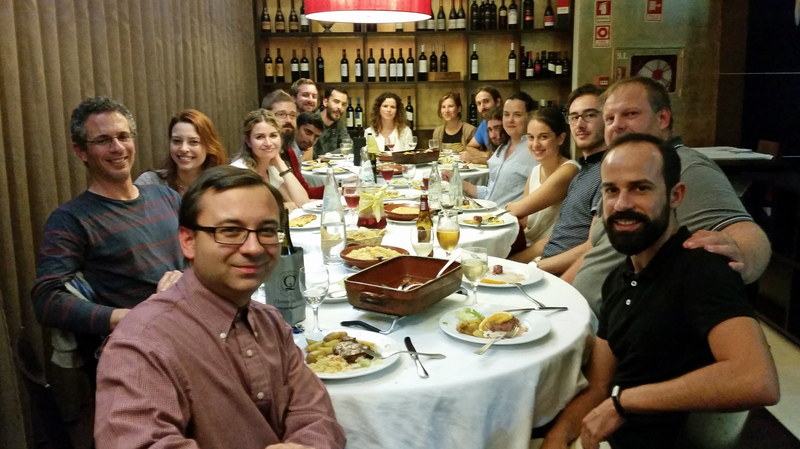 A big thanks to our collaborators Pedro Martins & Co. for their hard work!!! You can read the full paper here or just click on the abstract below! 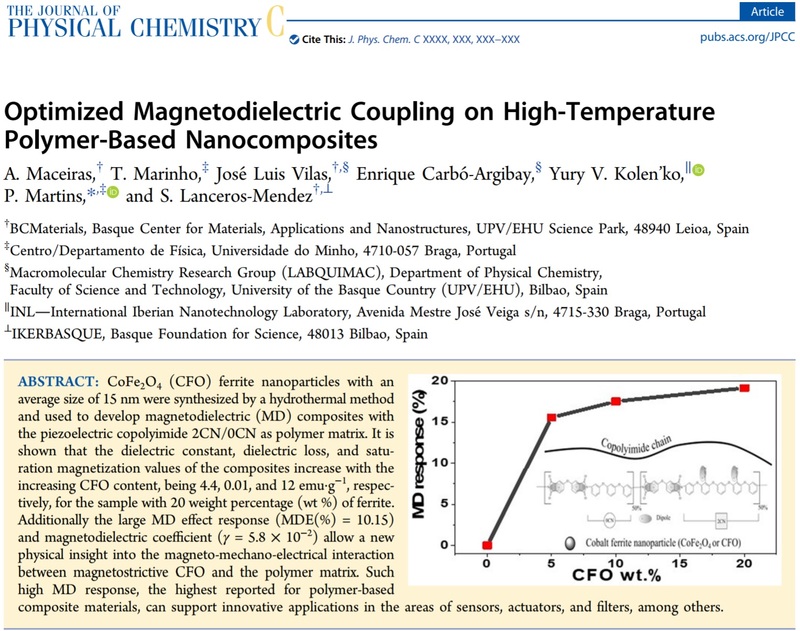 Huge congratulations to our best friends Manuel Banobre-Lopéz, Lorena García-Hevia and Juan Gallo from INL - International Iberian Nanotechnology Laboratory and the rest of co-authors! 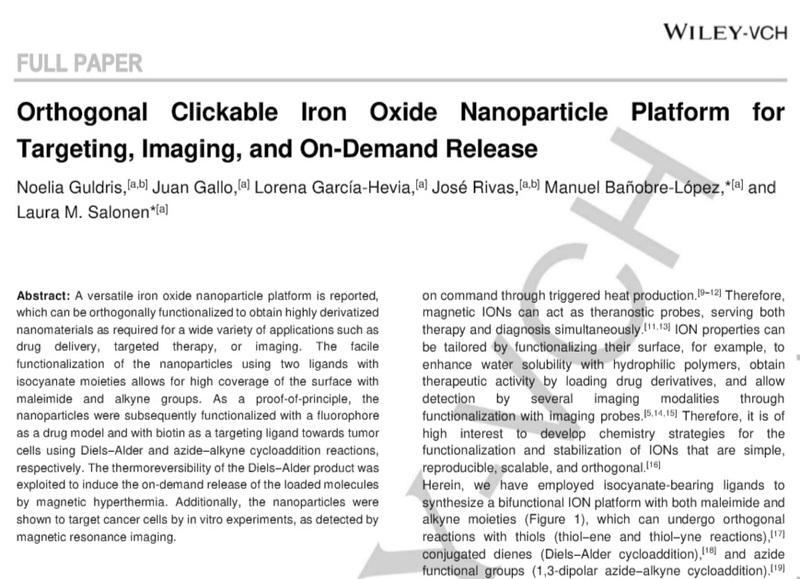 Their research article "Tunable Performance of Manganese Oxide Nanostructures as MRI Contrast Agents" has just been accepted in Chemistry - A European Journal! Congrats also on the front cover of the journal!!! You can read the full paper here! Yesterday we had a really great day! 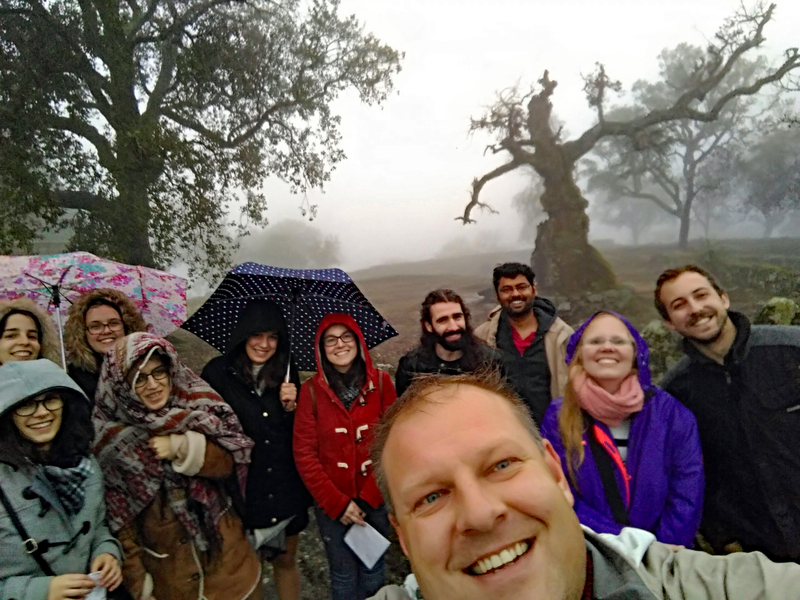 After our last group seminar this year, with nice talks by Juliana Sousa and Noelia González Ballesteros, we visited the ruins of one of the most impressive fortified towns in the Iberian Peninsula - Citânia de Briteiros. Welcome to our newcomer Renato Gonçalves! Renato joined Nanochemistry Research Group at INL - International Iberian Nanotechnology Laboratory to work in the development of nanoinks for the development of screen printed photovoltaics in the scope of the PrintPV project! 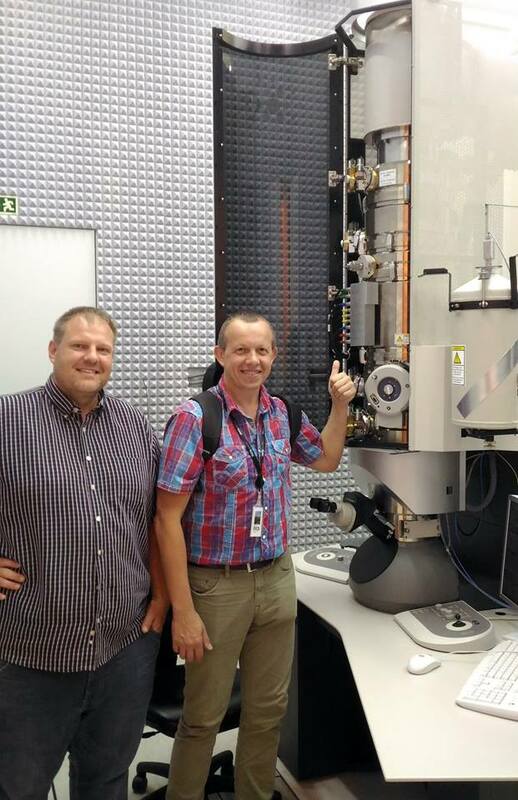 Huge congratulations to Yury Kolen´ko from the Nanochemistry Research Group at the INL - International Iberian Nanotechnology Laboratory and our best friends Bryan Owens-Baird and Kirill Kovnir from The Kovnir Research Group at the Iowa State University! 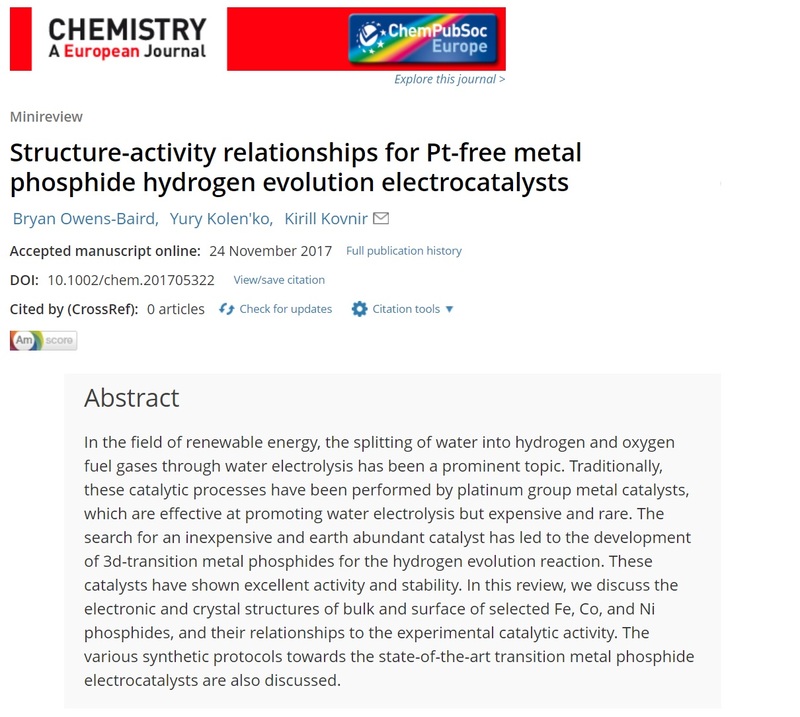 Their mini review entitled "Structure-activity relationships for Pt-free metal phosphide hydrogen evolution electrocatalysts" has just been accepted in Chemistry - A European Journal! We bid farewell to our best friend Bryan Owens-Baird who is finishing his research in the Nanochemistry Research Group! 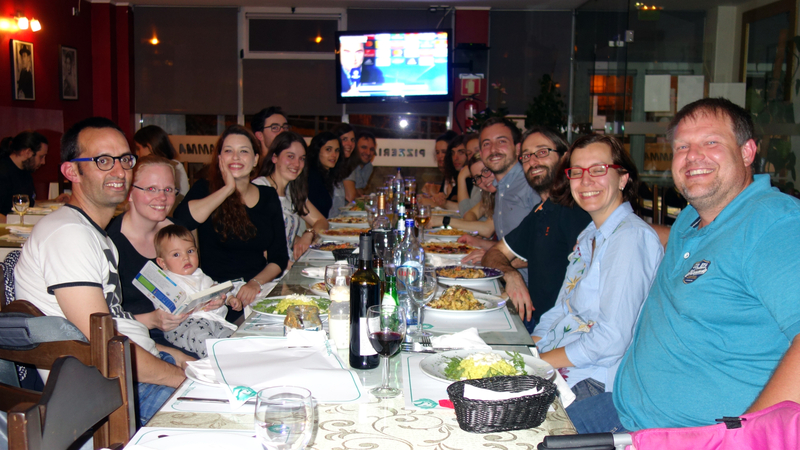 Guys, we wish you all the best during your stay in the Nanochemistry Research Group! 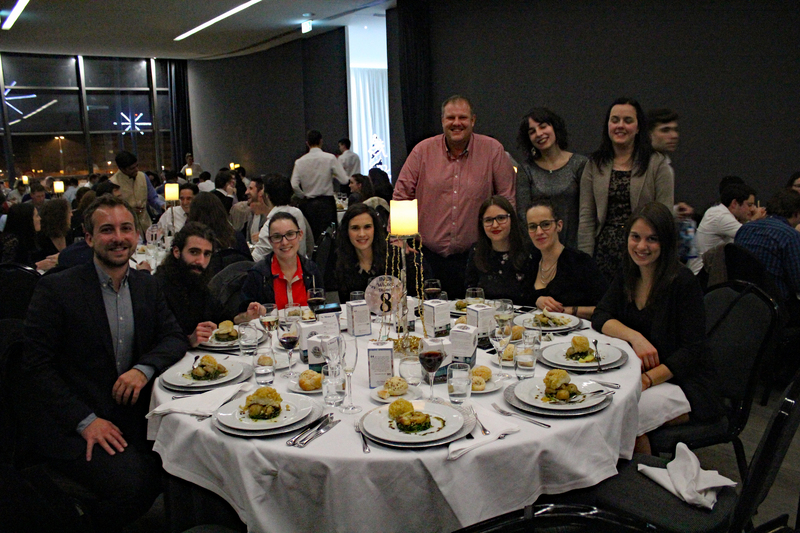 We hope you will enjoy your time and your research here! 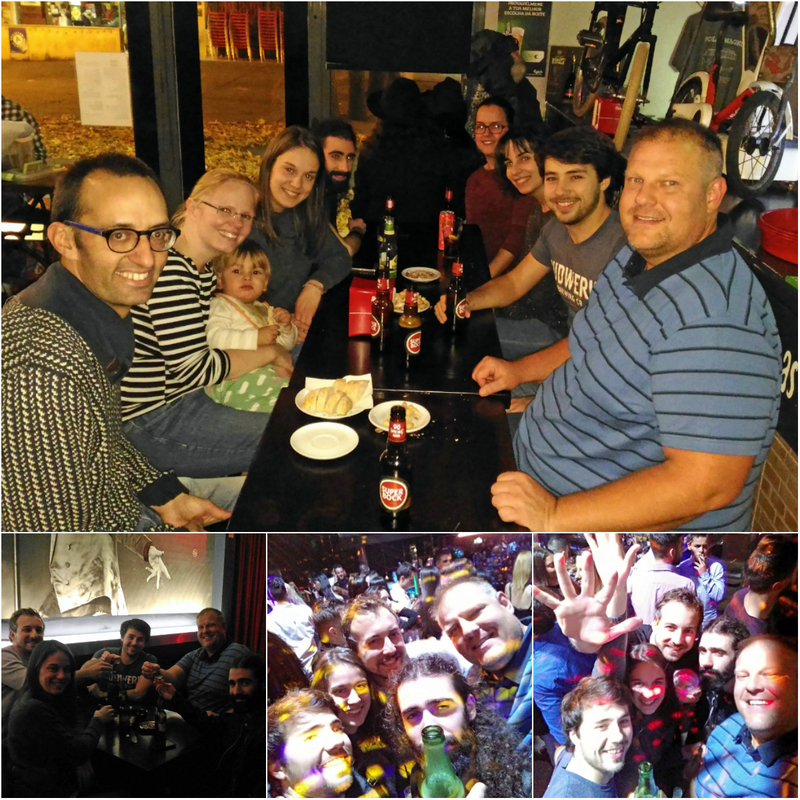 Huge congratulations to our best friend Alejandro Garrido Maestu! 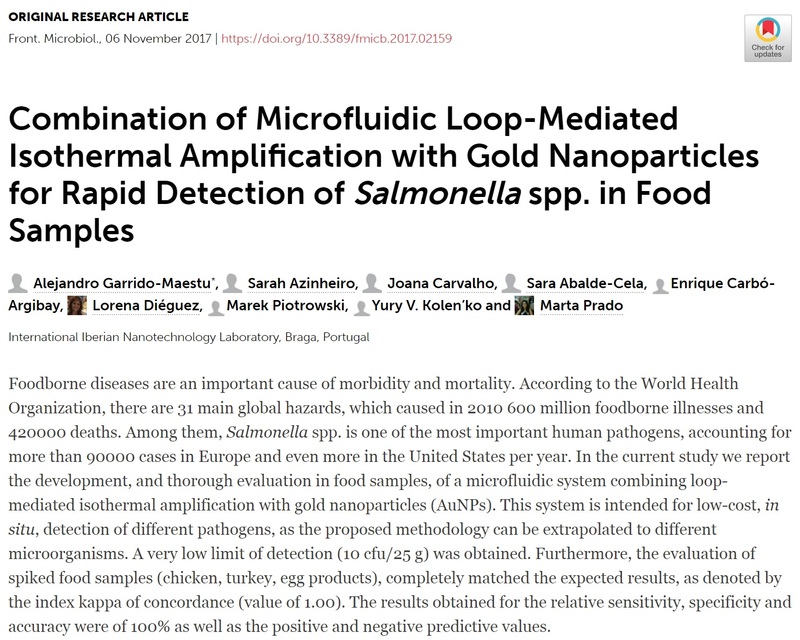 His manuscript entitled "Combination of Microfluidic Loop-Mediated Isothermal Amplification with Gold Nanoparticles for Rapid Detection of Salmonella spp. in Food Samples" has just been accepted in Frontiers in Microbiology! 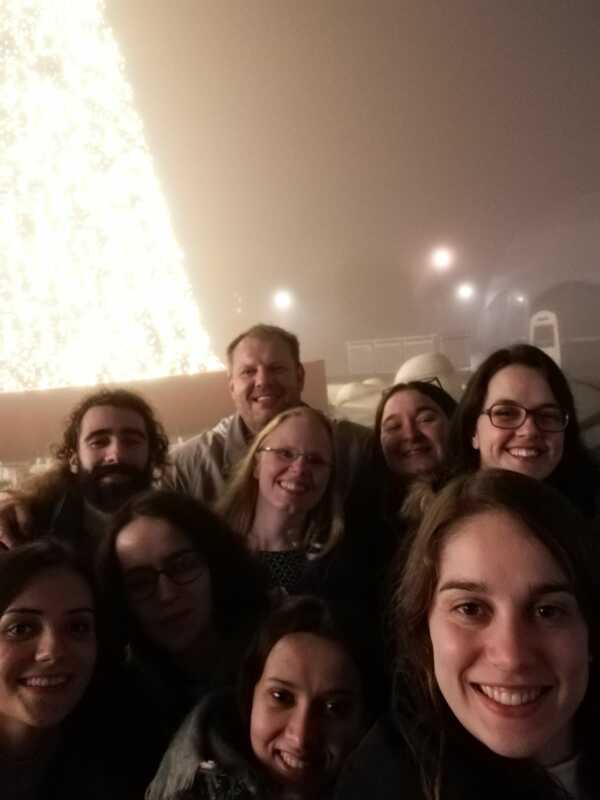 Congratulations also to the rest of co-authors from INL - International Iberian Nanotechnology Laboratory: Sarah, Joana, Sara, Enrique, Lorena, Marta, and from the Nanochemistry Research Group at INL: Marek Piotrowski and Yury Kolen´ko. We welcome Udayabhaskararao Thumu to the Nanochemistry Research Group at INL - International Iberian Nanotechnology Laboratory! Uday came from the Weizmann Institute of Science, Israel, where he worked at the Department of Organic Chemistry and at the Department of Physics of Complex Systems. Here you can check his recent paper in Science: Tunable porous nanoallotropes prepared by post-assembly etching of binary nanoparticle superlattices, Science 2017. Uday will continue his research at the INL within Marie Curie COFUND Action NanoTRAINforGrowth II. Welcome to Bryan Owens-Baird from The Kovnir Research Group at the Iowa State University. 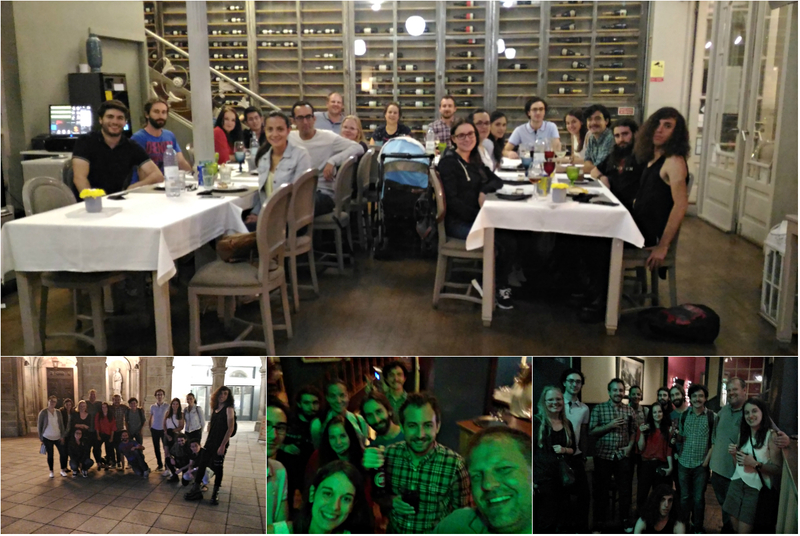 Bryan joined Nanochemistry Research Group at INL - International Iberian Nanotechnology Laboratory for one month to work on the nanostructured catalysts for efficient water electrolysis! Huge congratulations to Laura and Soraia from Nanochemistry Research Group! Their recent manuscript entitled: Adsorption of Marine Phycotoxin Okadaic Acid on a Covalent Organic Framework has just been accepted!!! 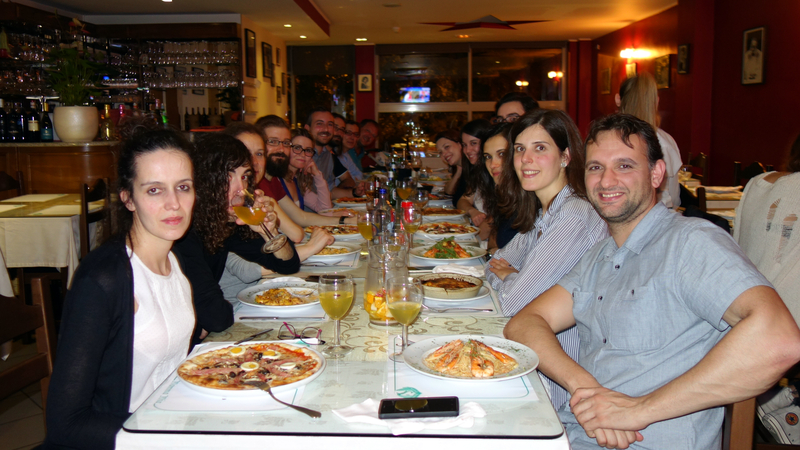 Heaps of thanks and congratulations also to the rest of co-authors from INL - International Iberian Nanotechnology Laboratory and CEB - Centre of Biological Engineering: Sara, Joao, Enrique, Marisa, Carlos, Joao, and Begona! Welcome to our newcomer Noelia González Ballesteros! 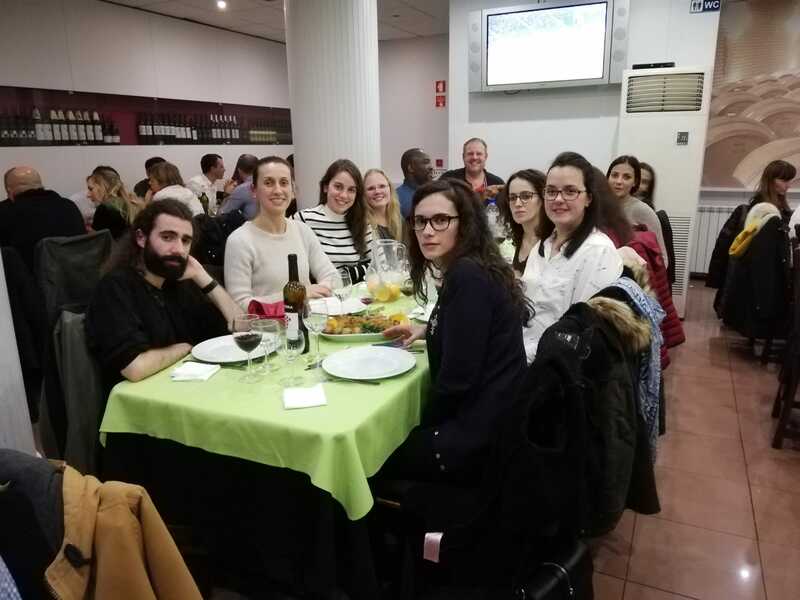 Noelia is a PhD student at the University of Vigo and joined Nanochemistry Research Group at INL - International Iberian Nanotechnology Laboratory for 3 months! 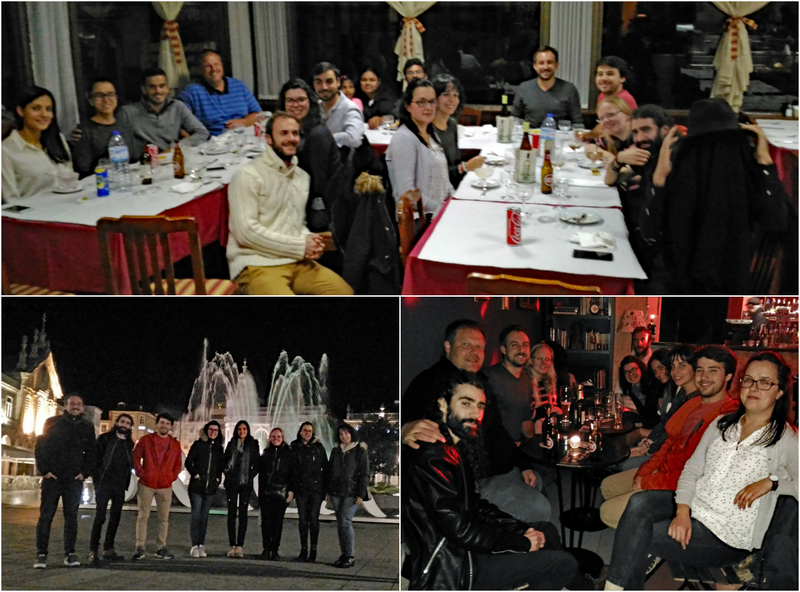 Nanochemistry Research Group is participating in the 43rd International Conference on Micro and Nanoengineering at INL - International Iberian Nanotechnology Laboratory in Braga, Portugal. 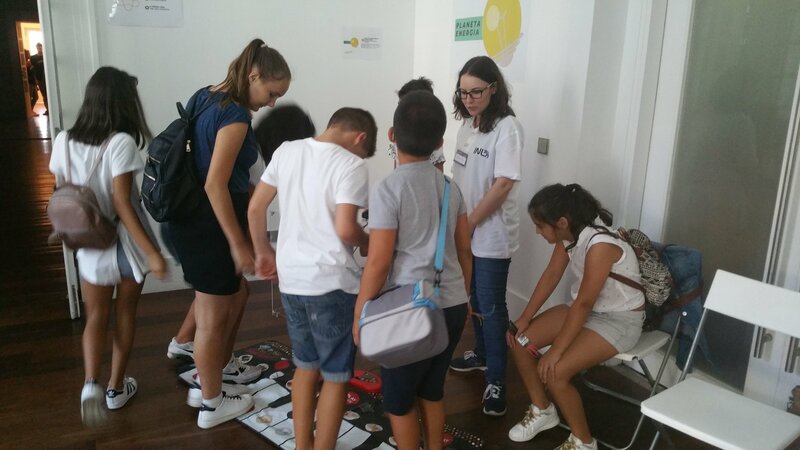 Soraia, Marek, Liliana and Juliana are presenting our latest results! CONGRATULATIONS TO LILIANA AND SORAIA!!! Yesterday, Michael Shatruk was visiting our group, and gave a talk at the INL - International Iberian Nanotechnology Laboratory about core-shell nanoparticles with strong magnetic anisotropy as potential building blocks for permanent magnets. Mike, thanks a lot, it was nice to have you around! 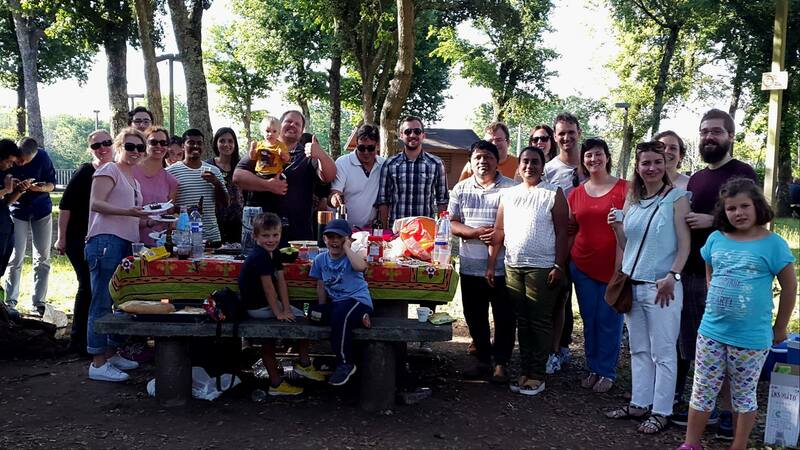 Yesterday we had a picnic at Praia Fluvial de Merelim Sao Paio and celebrated Yury’s birthday! We were enjoying delicious food, wide variety of drinks, river, sun and having a lot of fun! TIME FOR A GROUP DINNER!!! 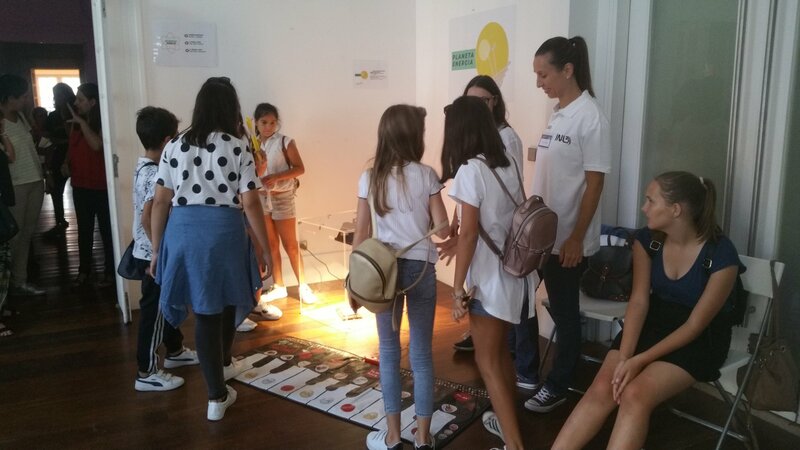 Viviana Sousa just joined our team under PrintPV project. She is going to prepare the best in the world nano inks, which are compatibile with several printing tools. Miguel Franco took a step further and joined our team as a research fellow under PrintPV project. He is going to underpin printed solar cell devices. 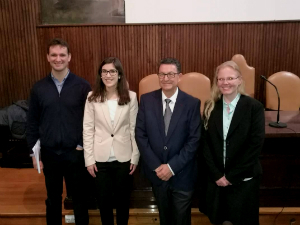 Our best friend Noelia Guldrís Pensado has successfully defended her Ph.D. thesis!